This site is best viewed in Google Chrome & Mozilla Firefox. Established in May 1990, Trimegah earned its Broker-dealer license and Underwriting license from Capital Market Supervisory Board (Bapepam) in 1992 and 1993. On January 31, 2000 the Company listed its shares at PT Bursa Efek Jakarta (the Jakarta Stock Exchange, now PT Bursa Efek Indonesia - Indonesia Stock Exchange). If you seek comprehensive and reliable financial services, we at Trimegah are ready to help. 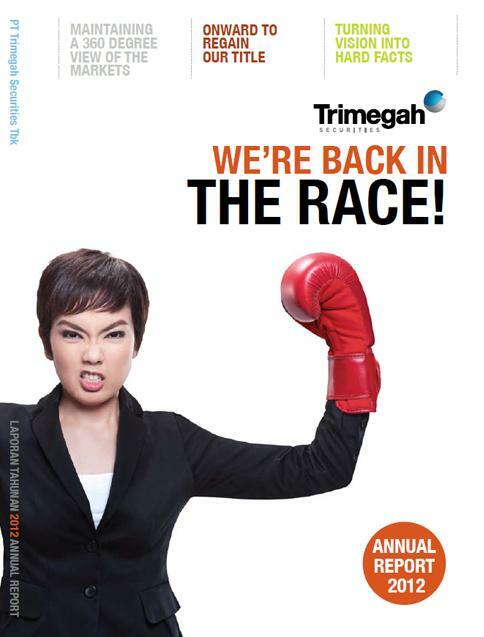 For years Trimegah has been continuously providing the best financial products and services. Trimegah is committed to maintain transparency to all stakeholders including regulator, shareholders, clients and public at large. In the midst of pursuing success, sometimes you miss some important investment moments. Now, you do not need to miss this valuable opportunity anymore. Trima is ready to facilitate your stock and mutual fund transactions. To Trimegah, the implementation of good corporate governance principles is not just a compliance to regulations, but because we believe that the implementation of good corporate governance principles will also determine the sustainability of the Company in the long run. Optimizing values for the shareholders is our goal in our continuous effort to improve performance and strengthen position in the industry. We're Back In The Race ! Following capital restructuring and back-office overhaul in 2012, the Company enters 2013 with optimism to regain its status as one of the top players in the capital market industry. Leveraging strong capital, in-depth market knowledge, experienced and well-trained human capital as well as synergy with Trimegah Asset Management, the Company is moving forward to capitalize on the opportunities ahead. PT Trimegah Sekuritas Indonesia Tbk is Securities Company Member of the Indonesia Stock Exchange, licensed, registered and supervised by the Indonesia Financial Services Authority.